Rev. 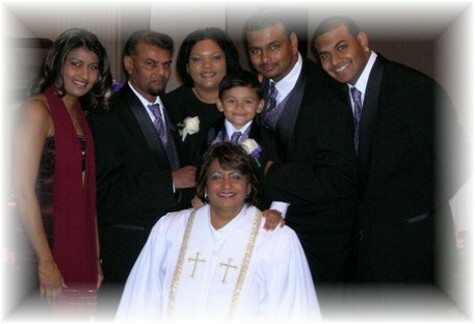 Rosalind Mahadeo was ordained by Bishop Carlyle Chankersingh and Dr. Marilyn Chankersingh through Faith Centre Church of Trinidad, whose headquarters is in Rockford, Illinois. The ordination took place on February 26, 2006 at the Sheraton Crossroads in Mahwah, New Jersey. Family, friends and other pastors witnessed Pastor Rosalinds's ordination.